12.6" x 13.8" stitched on 14 count. 9.8" x 10.7" stitched on 18 count. 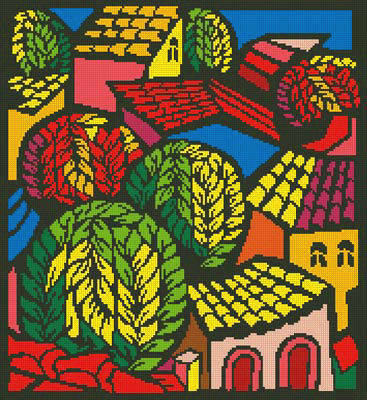 Colorful Town Scene cross stitch pattern... Bright, colorful Mediterranean town scene.